You know what? 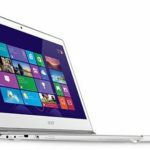 Frys.com now has a sale on Acer Aspire S7-191-6640 11.6″ TOUCH Screen Display Ultrabook w/ Core i5-3317U, 4GB DDR3 RAM, 128GB SSD, Windows 8 for $699, it's available for in-store pickup only, you can purchase it online, pickup at a local store. 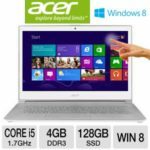 This is the lowest price for this Acer ultrabook, we save at least $450 compared to the next best available price from reputable merchants, so I can say it's a solid deal. This deal is only valid today, so you should hurry if you want it. Remind: Never forget cash back from Mr. Rebates when shopping online! 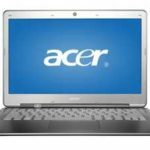 The Acer S7-191-6640 ultrabook highlights a 3rd Generation Intel® Core™ i5-3317U Processor 1.7GHz, 4GB DDR3 dual-channel memory, 128GB SSD drive, 11.6″ Full HD widescreen CineCrystal™ LED-backlit display at 1920 x 1080 resolution, and Intel HD Graphics 4000. 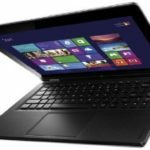 The laptop runs on Windows 8 operating system. 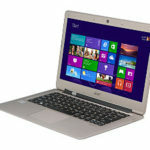 No need to say, this is a pretty great configuration for an ultrabook, you'll be satisfied with it. I believe. 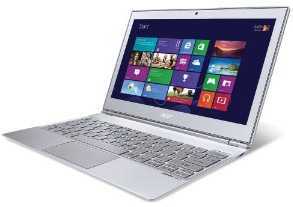 So if you are looking for a quality ultrabook for daily use, this one could be a killer now. What do you say?